A few souls have been excited by the thought of an aggrieved part of Kenya seceding and forming an independent country besides the Central Republic of Kenya. Economist David Ndii has even drafted a petition for self determination, believing that people, who have traditionally voted for Raila in flawed elections in the past, would want to break away from those they deem responsible for this flawed process and chart their own destiny. This secessionist talk must surely excite the lazy idle youth. Young men and women who do not fully understand what it would take to successfully divide the country into two. For this to happen, we would either have to negotiate peacefully, hold a referendum and amicably part ways or fight among ourselves so that if the secessionists win, then we split, if they lose to the central republic then we remain as one country. I have looked at countries that split in the past, and most of them have taken the latter option. Yugoslavians did not just wake up one morning and agree to disintegrate their country. They fought for more than 10 years resulting into heavy casualties. The South Sudanese fought for a whole 22 years to finally liberate their country from the north, but even after they won this independence, continued fighting among themselves for control of power and economic resources. John Garang, one of the key architects of this process never lived to enjoy the outcome. East Timor fought for 27 years for the right to exist independently of Indonesia. Eritrea too brutally fought for its freedom from Ethiopia before attaining independence in 1993. Other movements for secession have not been that lucky with notable cases being Biafra’s unsuccessful attempt to leave the federal republic of Nigeria and the Basque separatists who have been battling Spain for decades now. Do you see Kenya agreeing peacefully, through a referendum, to split the country into two? Your guess is as good as mine. We can’t split the country into two without making a few people feel disenfranchised. Furthermore, ours is not a homogeneous society and there are too many westerners in the eastern part of the country and too many easterners in the western part of the country. What do we do with the Luyias in Rift Valley? What do we do with the Kikuyus of Lamu? How about Nairobi (and other cosmopolitan areas) which is centrally placed but has a 60% western population? Remember also that Nairobi has been built on the sweat and tears collected from the rest of the country and will therefore be fought over. If we agree that there can’t be a peaceful settlement, we must therefore assess the other option, and that is a full scale war. Do those advocating for secession have the capacity to wedge and sustain guerrilla warfare for a long time, say 10 to 20 years? Do they have the means to secure weaponry and financial assistance to their fighting forces? Do they have friendly foreign powers that will sponsor this secessionist war? Are their followers tired enough, and willing enough to fight for this split? Do they have greater unifying factors than their love for a certain side of the political divide and hatred for the other? What do they stand to gain from this split other than having one of them declared president? Little if you ask me. Once again I advocate for strengthening of devolution. We must work hard to make devolution work better for the 47 counties so as to eliminate that sense of exclusion that has characterized our fight for the presidency. We must fight to make our county assemblies accountable to the tax payers within the county. We must say no to poverty, disease and ignorance at the county level and seek to transform the tiny monsters we elected as governors and MCAs into servants of the people and not overbearing masters that alienate the very people who elected them. Efficiently working county governments will erode the allure of a national presidency. If the people of Kisumu, Siaya, Migori, Kisii, Nyamira, Kakamega, Bungoma, Vihiga, Busia, Trans Nzoia, Mombasa, Taita Taveta, Narok, Turkana, Samburu and West Pokot live a comfortable life, they won’t even need one of them to be president for them to be comfortable. For as long as they are dying of hunger, disease and ignorance, only political power will make them feel comfortable. The same can be said of the centralists. If they are comfortable within their counties, they won’t fight tooth and nail to protect a presidency that isn’t useful in itself. Secession isn’t the solution, strengthening devolution is. 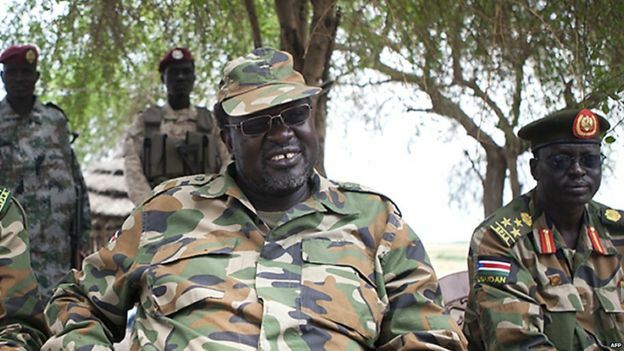 The south Sudanese seceded, they are still fighting among themselves. The architect of their secessionist movement died long ago, assassinated by his very own lieutenants, and they are still riddled by corruption, abuse of power, disease, poverty and ignorance. Let us learn from the mistakes of our closest neighbors.